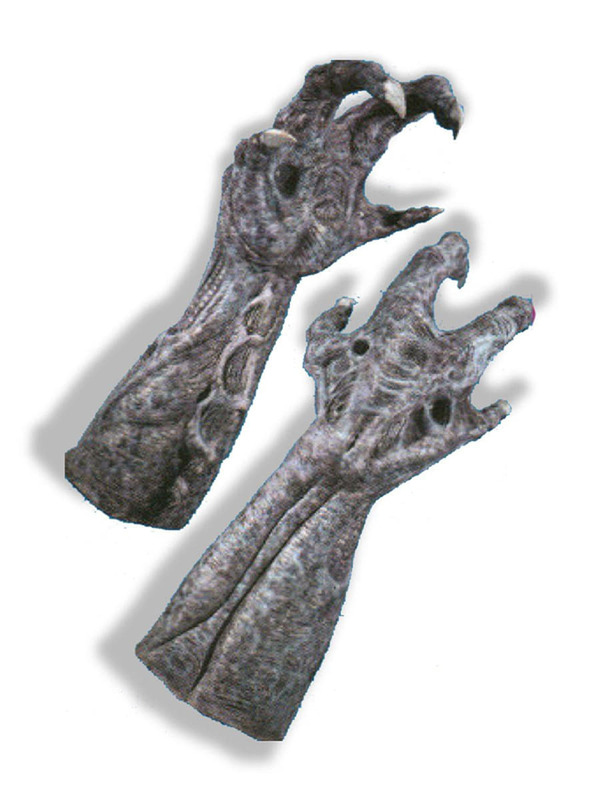 Complete your Alien costume and terrorize the world with these Deluxe Alien vs Predator alien hands. Alien vs. Predator is a science fiction movie directed by Paul W. S. Anderson, produced by 20th Century Fox and released in 2004. The film is heir to the influence of the film series beginning with the films Alien (1979) and Predator (1987). Predator is an alien science fiction creature characterized by being a human or other dangerous alien species trophy hunter. The Alien or Xenomorph, is a parasitoid fictional extraterrestrial biological entity. Includes a pair of foam latex gloves that mimic the hands and the skin of this dangerous alien perfectly. Upload your photos to Instagram with the hashtag #funidelia followed by #funidelia44674. Product Rating: "Deluxe Alien vs Predator alien hands"